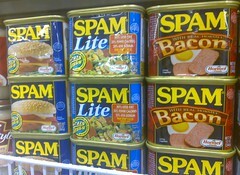 How do you know if you are spamming people or emailing those that might be interested in your topics? If you got your email, would you say “this is something I’m really interested in.” If not, then don’t send it because you’ll regret it. It’s so hard to get people to give up their legitimate email address. Don’t take it lightly. How often do you have something relevant to say? If you have something relevant every day, then you can hit them up every day. Think about Groupon or Living Social. Every day they have a deal. So they email you every day. Don’t send a quarterly email if you are doing it because it’s that time of the year. Send it because you have collected the best stuff of the quarter and your audience would really want to know about it. Second, you are spamming people if they didn’t sign up for your email. What’s that mean? You can’t have a student or intern harvest emails from websites or listservs and/or directories that aren’t yours. People need to sign up for your email.